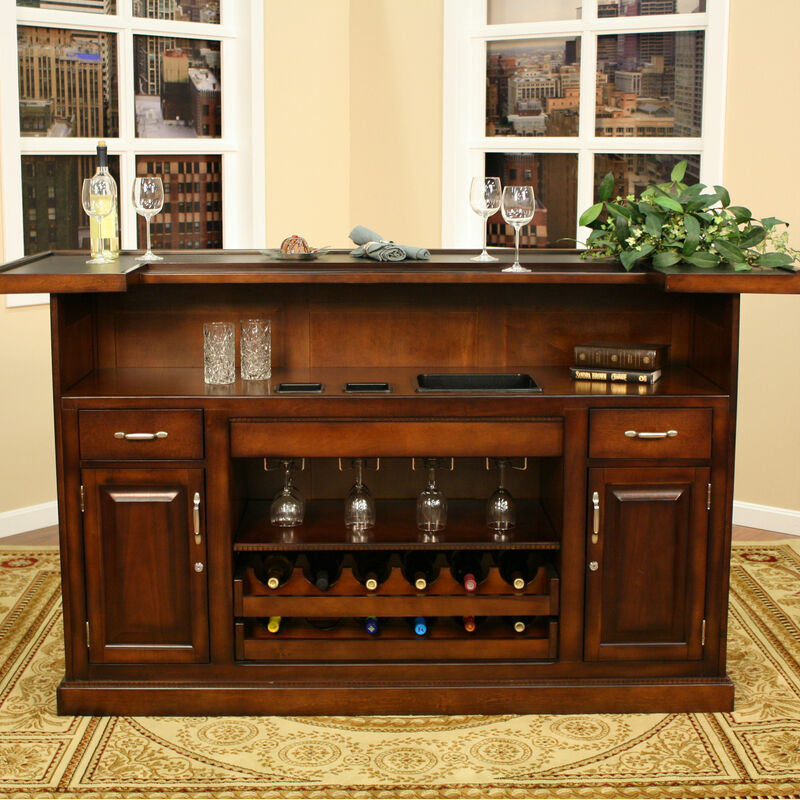 The 84" Catania Home Bar by American Heritage offers everything you could possibly want in a home bar. The recessed serving area offers more than ample space for preparation and serving. 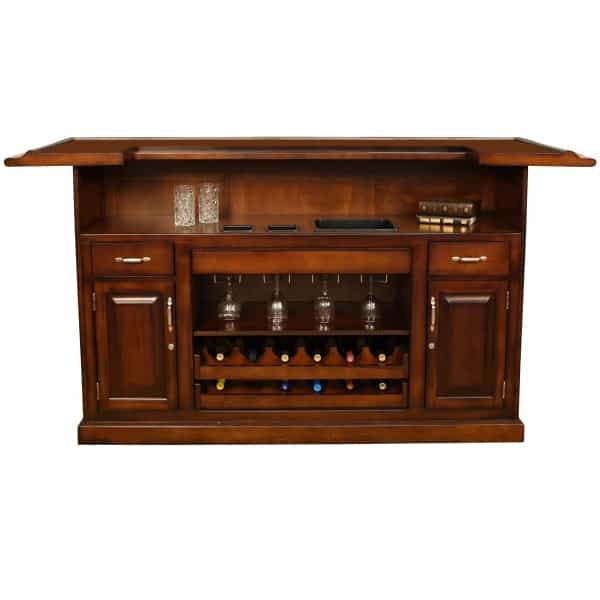 The Catania includes lockable storage, adjustable shelving, abundant space for wine bottles and stemware, sliding drawers and a built-in ice bucket. 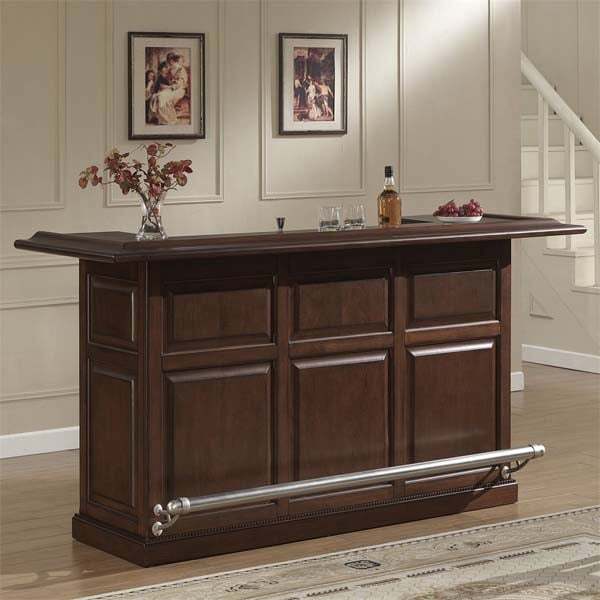 The wrap around style is finished with classic cherry veneers and decorative raised walnut panels and is highlighted by a brushed steel foot pole and accent hardware. 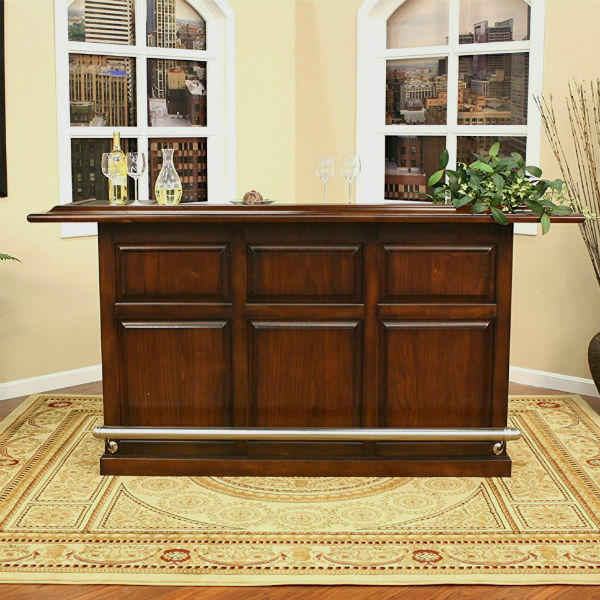 The 84" Catania Home Bar is available in a warm Navajo finish. The Catania is also available in an "L" style with a refrigerator pocket.